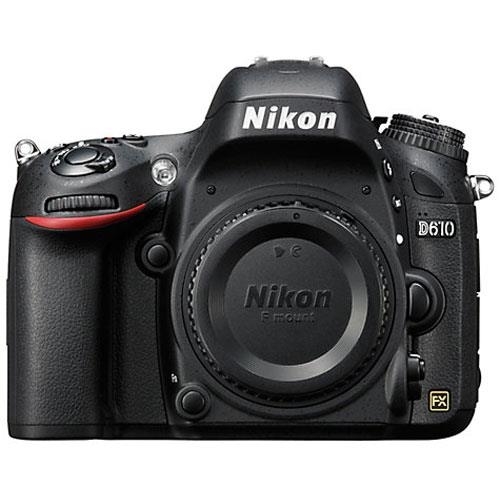 The powerful Nikon D610 features a 24.3-megapixel FX-format full-frame sensor offering brilliant photos with rich colours and lifelike sharpness. Capture action at a fast six frames-per-second, and Nikon's new Quiet Release burst mode allows you to shoot in near-silence: Perfect when you want to photograph wildlife. Durable, lightweight and tough enough to go anywhere, the Nikon D610 is fully weather-sealed giving resistance to moisture and dust. From extreme wide-angle to super-telephoto, capture incredibly detailed images with smooth tonal gradations and low noise when shooting at high ISOs. Perfect for wildlife photography, the sound of the camera's mirror return mechanism is noticeably reduced during the burst, so it's easier to capture elusive subjects. Shoot sharp shots of fast-moving action at six-frames-per-second in both FX and DX formats. Benefit from superior subject acquisition with the Multi-CAM4800 39-point AF system. Compatible with lenses up to f/8 combined open aperture and sensitive down to -2 EV, the D610 shoots sharp, even under the light of the full moon. Built to withstand severe conditions, the camera boasts magnesium alloy top and rear covers and weighs only 760 g (without battery). 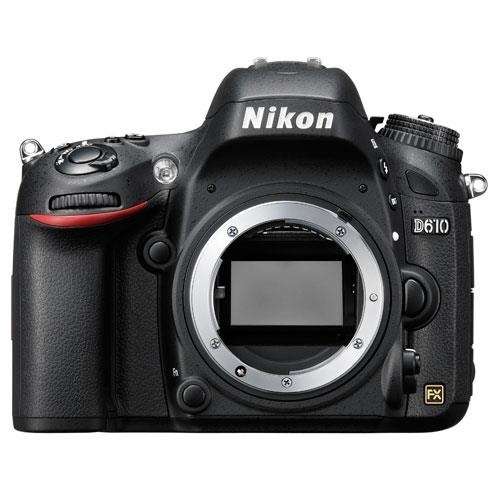 Weather-sealed to the same degree as Nikon's professional D800 DSLR, it offers enhanced resistance to moisture and dust. Precision 3.2-inch 921k-dot, VGA LCD monitor with automatic monitor brightness control. Delivers bright, crisp image playback with a wide colour reproduction capacity. EXPEED 3 image processing engine With 14-bit A/D conversion and 16-bit image processing for superb tonal gradation. 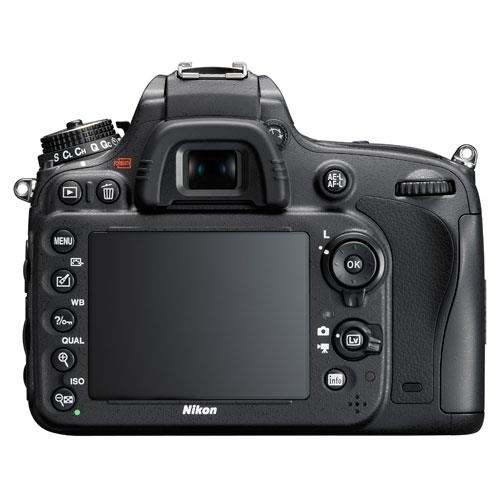 The camera's image sensor and its 2,016-pixel RGB sensor provide precise data to the Scene Recognition System, which optimises exposure, autofocus, and white balance immediately before the shutter is released, generating sharply defined images. Create time-lapse photography through simple menu operations, with no need for elaborate calculations and editing. Use interval timer shooting to trigger the shutter at preset intervals. Use time-lapse photography to save images as movie files and view slow action in fast playback, with playback rates from 24 to 36,000 times faster than normal. You can confirm the camera's position relative to the horizontal plane and its pitch (forward or rear rotation) using the LCD monitor or the viewfinder. Two SD memory card slots offer enhanced shooting flexibility. Use the second card when the first is full, or record stills on one and movies on another. SDXC and UHS-I compatible.